A Stockton-based law firm is looking forward to continuing to fly the flag for Teesside, as it looks to build on the success of its first year of trade. Core Legal, which offers clients a range of services specialising in residential conveyancing and wills, trusts and probate work, was established last May and operates under a multi-disciplinary Alternative Business Structure (ABS) licence. Over the last 12 months, Core Legal’s owners, solicitor, Sally Hare, accountant, Keith Ahmed and marketer, Claire Hewitt, have used their in-depth knowledge and expertise to grow the business around the region. The team at Core Legal has expanded from four staff to 12, with this number expected to double again over the next year. The firm expects to further expand its services later this year and offer family and matrimonial legal advice, following senior appointments within these fields. Speaking about the achievements of the past year, managing director Hare said: “It really has been an incredible 12 months for everyone involved at Core Legal. “We’re delighted with what we have achieved, not only for the business but Teesside as well. 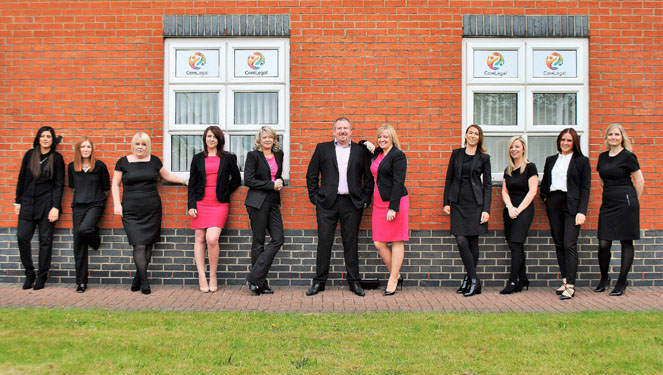 “We have created several jobs in our first year and as we work with a range of clients from all over the UK, our aim is to be the number one representative of the region on a national level, offering an all-round, private client service. Having already been accepted onto all UK major mortgage lender panels, due to the firm’s completion rate, the leadership team is quick to highlight the reason behind the business’ accomplishments.